American Surfer Ben Bourgeois competes in a World Champion event held at Thurso, north Scotland. 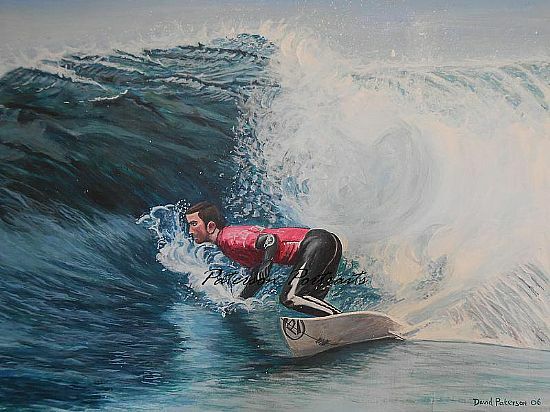 This Acrylic painting is essentially a study of waves and movement. The Original painting comes mounted and framed.